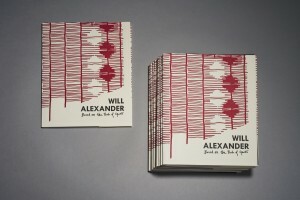 Chapbooks were printed in a limited edition of 100, are hand bound, and have covers letterpressed at the Center for Books Arts in NYC. 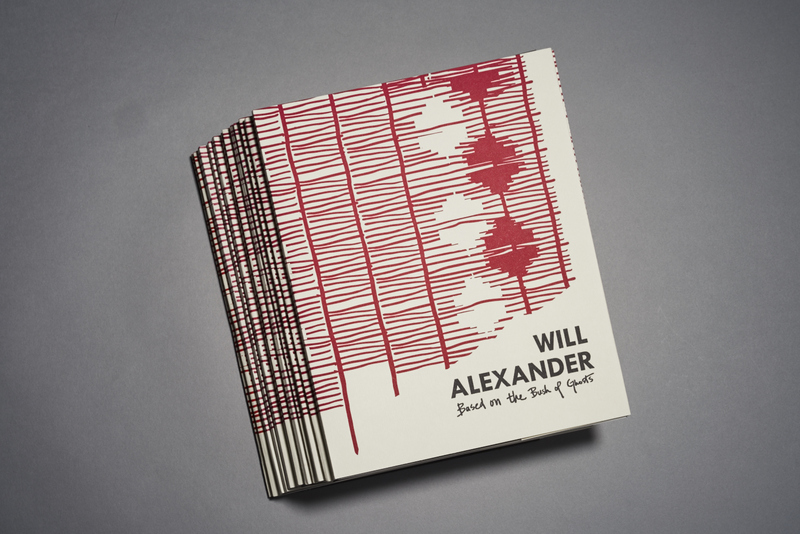 Catch the rising wave of Alexander’s recent production and travel into the depths of outer space where few have dared to go.We’re pleased to announce the publication of a new chapbook by LA poet Will Alexander, Based on the Bush of Ghosts. 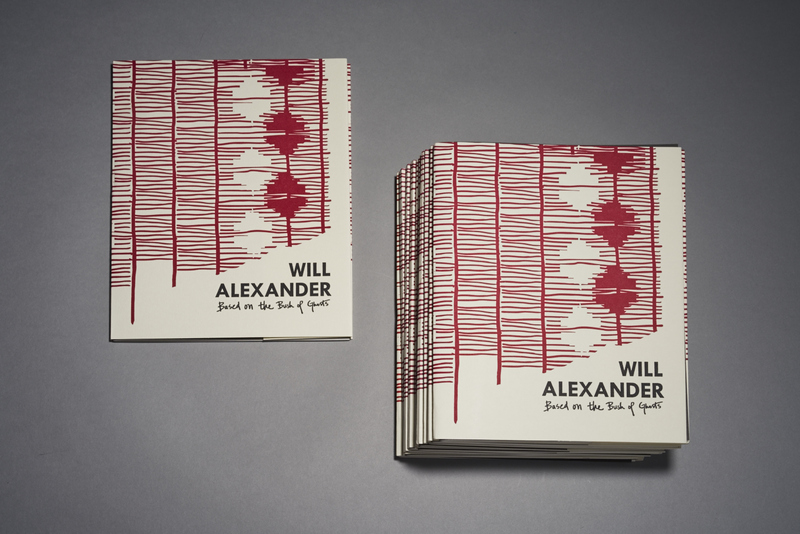 Written in honor of the late Nigerian writer Amos Tutuola (1920-1997), the long poem serves equally as a belated eulogy and an aesthetic manifesto. 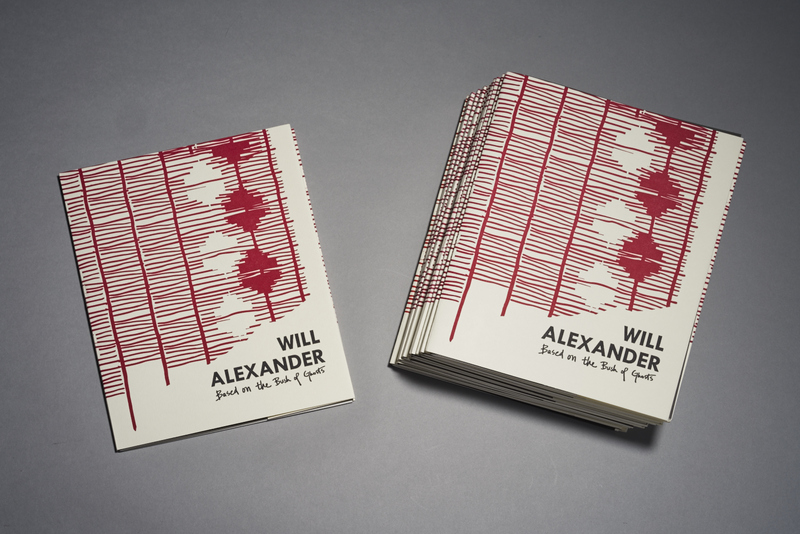 Full of the verbal dynamism of Alexander’s intergalactic consciousness, the poem asks us all to consider where our minds have been and where they ought to be.